Some time ago, we had sent questions to Ashraf Osman, a trained architect and an expert in olfactory art. Founder of the Scent Art Net (formerly Scent Culture Institute), a member of the Art and Olfaction Institute and a judge for the Art and Olfaction Awards, he gave us a detailed and in-depth presentation of his past and present projects. I am originally from Beirut, Lebanon. As the son of a physician father and a pharmacist mother, I was expected to be a medical doctor myself. So I completed a pre-med biology degree at the American University of Beirut, but left medical school after the first semester. I wanted to become a filmmaker, but my parents did not agree to it; so as a compromise, I left to the US to study architecture instead. There I completed graduate studies in upstate New York, and then worked as an architect for about ten years in Philadelphia. The last couple of years there I also started teaching Interdisciplinary Design Foundations at Philadelphia University, and had a few encounters that piqued my interest in olfactory art and design. Growing up, I had a special fondness for fragrances: smelling products in my mom’s pharmacy, recognizing people’s perfumes in passing, buying perfumes as a student from a little shop near our college, etc. But I had a “regular” person’s collection of no more than a handful of fragrances at a time. Then in 2008, I came across Luca Turin and Tania Sanchez’s Perfumes: The A-Z Guide at a bookstore in Philadelphia, and it opened for me the doors to an entire emerging world of niche perfumery that I wasn’t aware of. I started reading more and more about scents, books and blogs, and spending most of my disposable income on it: first collecting samples, then decants, and eventually bottles. That year I also came across an exhibition titled Odor Limits by Jim Drobnick and Jennifer Fisher at the Monell Chemical Senses Center in Philadelphia. It was one of the first of its kind in the world, and my first encounter with olfactory art. A couple of years later, I attended a symposium on scent as design, titled Headspace, held by Parsons’ New School for Design in New York, in partnership with the Museum of Modern Art (MoMA), International Flavors & Fragrances (IFF), Coty, and Seed. The conference brought together for the first time leading designers, scholars, scientists, artists, and perfumers to explore this new territory for design. The following year, I decided to pursue my interest in scent more formally through postgraduate studies in curating, with a focus on olfactory art, at the Zurich University of the Arts (ZHdK) in Switzerland. Most of the research I conducted at the time ended up in a paper, a Historical Overview of Olfactory Art in the 20th Century. 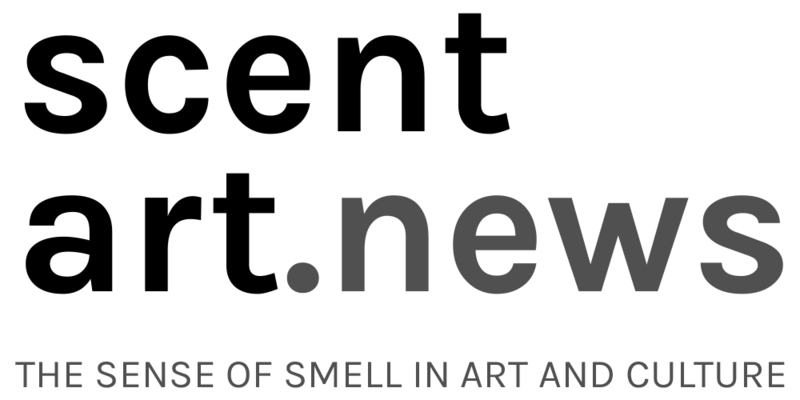 And the newer part of the research, focusing on olfactory art in the new millennium, ended up as the Scent Art website. However, I found the art environment to be more resistant to scent than I expected, and was persuaded to widen my focus to include socially-engaged art. That led to my founding Artinect as a consultancy to connect art and people, both “virtually” and “physically”. Around the same time, I met Dr. Claus Noppeney of the Bern University of Applied Sciences, who was also researching the cultural aspects of scent. And in 2014, we founded the Scent Culture Institute (now Scent Art Net), with a few colleagues of diverse backgrounds who have a cultural interest in scent in common. One of our first projects was an Urban Scent Walk for the Biennale Bern, which comprised tours based on scent through the historic center of Bern. Another project soon after was the Scent Culture News (now Scent Art News) website, a curated newsfeed of smell-related happenings in culture, business and society. It was apparent that this field is blooming beautifully, and this was one tool to keep track of its vigorous growth. Through all of this, it was only natural that we start collaborating with our more-established counterpart in Los Angeles, the Institute of Art and Olfaction (IAO), led by the wonderfully charismatic Saskia Wilson-Brown. Our partnership emerged from an initial collaboration on the IAO’s flagship Art and Olfaction Awards, which we analyzed, provided feedback on, and presented jointly at Esxence, the leading international fair for artistic perfumery in Milan. Personally, I was involved as an advisor and judge for the Sadakichi Award for Experimental Work with Scent, the first award for olfactory art and design in the world. Currently, we are wrapping up a yearlong four-part olfactory exhibition series I’ve been curating at Kunstmuseum Thun, here in Switzerland. Titled Schnupperschau, the experimental series explored the museum’s collection through the prism of scent, focusing alternately on the materials of art-making, the content of the work, socially-engaged collaborations with the community, a perfumer, and ultimately an artist. On an academic level, we are happy to have a chapter in the upcoming book, Designing With Smell: Practices, Techniques And Challenges (Routledge, 2017), titled “Culturalizing Scent: Current Steps towards Integrating the Sense of Smell in Art and Design Education”. And I look forward to start implementing that through teaching a class at Art Sense(s) Lab at the Fine Arts department of University College PXL-MAD in Hasselt, Belgium. Led by renowned olfactory artist Peter de Cupere, the master’s program is the first of its kind, offering an artistic and academic education focused on the “lower” senses (or as I prefer to call them, the “intimate” senses) of smell, taste and touch. An upcoming project I’m currently working on is Scent of Exile, a perfumery and olfactory art exhibition project, in partnership with Givaudan. Based on a text by Palestinian poet Mahmoud Darwish, the project investigates memory, identity and nostalgia associated with scents of cities and places no longer accessible. It aims to raise awareness of olfactory art as an emerging area of contemporary artistic practice, and explore the boundaries and areas of overlap between the practices of perfumery and olfactory art. Tags: Ashraf Osman, magazine, NEZ, periodical. Bookmark the permalink.